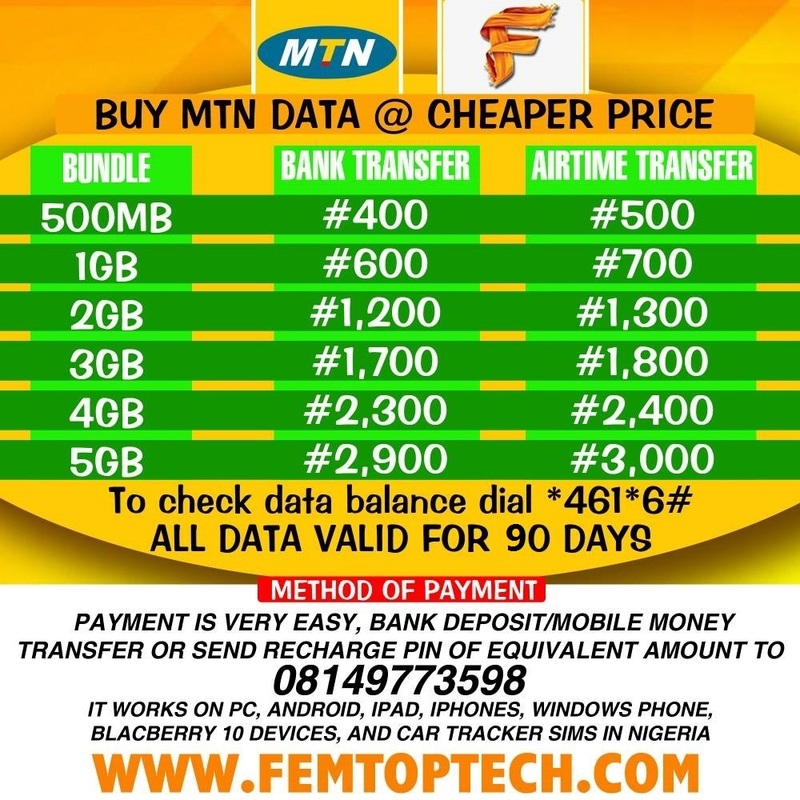 In a bid to make internet affordable and available for everyone, we are happy to announce to you that you can now buy the cheapest MTN Data Plan from us at Femtoptech.com and it also comes with 90days validity. Yes, our data bundle are legit and it works with all kind of devices like Android, PC/Laptop, iOS, Blackberry 10, Modem, MiFi, smart TV’s, smartwatch and many others. After payment, send proof of payment and the number to receive the data to 08149773598. Your data will be sent to your line within 5mins. Your data will be sent to you within 5mins. So, what are you waiting for? Make your order now!! !